Experience the power of Tsugami. 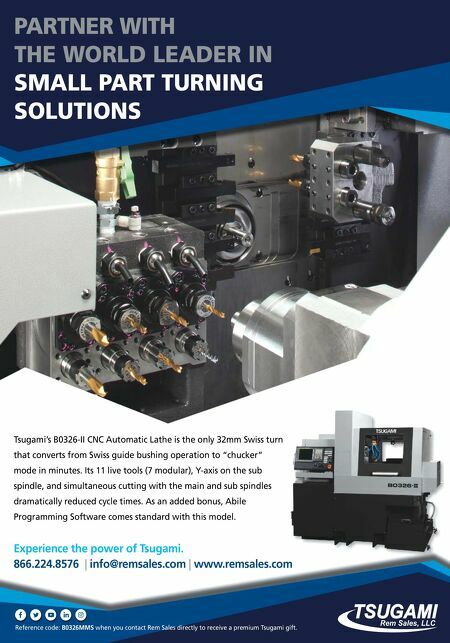 866.224.8576 | info@remsales.com | www.remsales.com Tsugami's B0326-II CNC Automatic Lathe is the only 32mm Swiss turn that converts from Swiss guide bushing operation to "chucker" mode in minutes. 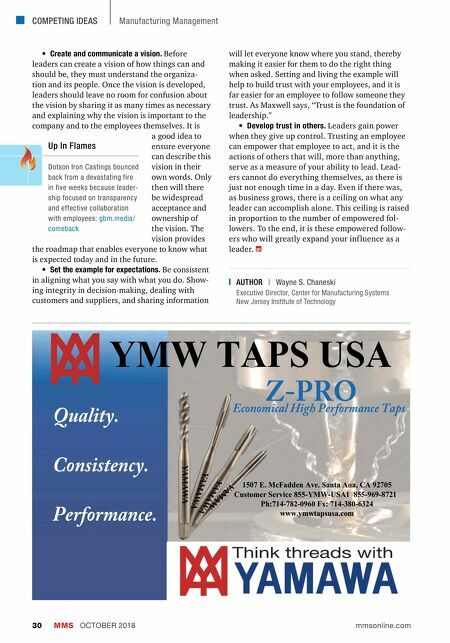 Its 11 live tools (7 modular), Y-axis on the sub spindle, and simultaneous cutting with the main and sub spindles dramatically reduced cycle times. As an added bonus, Abile Programming Software comes standard with this model. PARTNER WITH THE WORLD LEADER IN SMALL PART TURNING SOLUTIONS Reference code: B0326MMS when you contact Rem Sales directly to receive a premium Tsugami gift.